Fluoride Treatment: Do You Need One? The good news is there are several different ways to treat dentinal hypersensitivity at Richland Dental. Treatment of dentin tooth sensitivity begins by making an appointment with Dr. Hilary Craddock and Dr. Joyce Pace. We encourage you to begin treatment sooner rather than later in order to figure out the cause and to reduce the pain you’re experiencing. In most cases, quick treatment options will solve the problem, including the use of desensitizing toothpaste, switching to a soft-bristled toothbrush, starting a daily fluoride rinse treatment, or minimizing teeth grinding with the help of a custom mouthguard. 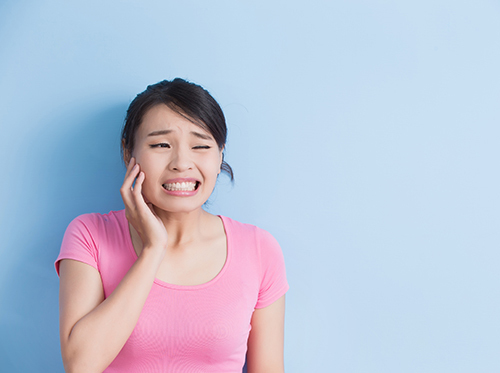 If you’re concerned about any tooth sensitivity you’re experiencing, please give our Richland, MS office a call and schedule an appointment. Dr. Hilary Craddock and Dr. Joyce Pace and our team want to help you identify the cause of your pain, and give you the best possible treatment plan. We look forward to seeing you to help alleviate discomfort and solve your tooth sensitivity.